WILL YOUR CAR RENTAL WAIT FOR YOU? 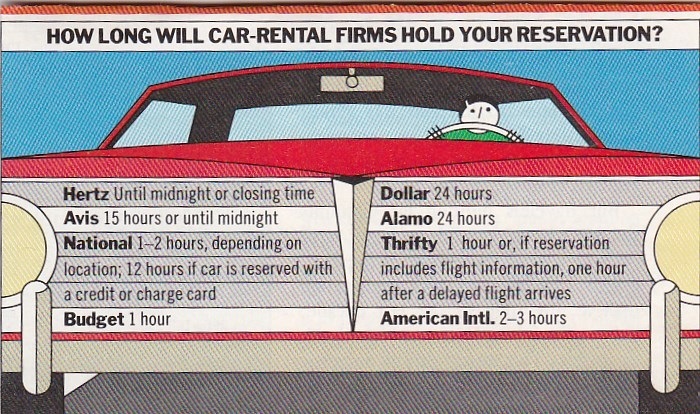 January 15, 1989 -- If your flight is delayed, even for an hour, you’d better call your car-rental company and let it know you’re running late. Otherwise you might end up stranded at your destination. A telephone survey of the seven largest car-rental firms shows that several companies will hold your reservation for only one hour after the time you promised to pick up the car. Show up later than that and the firms say they can’t guarantee there’ll be a car waiting for you. As the chart indicates, the policies of the major car-rental companies differ greatly. The survey also revealed that reservation agents at the companies’ toll-free 800 numbers often didn’t know company policy on this point. Only National’s and Budget’s operators correctly stated their companies’ holding-time policies. 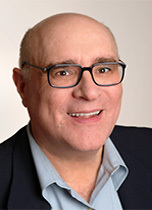 Three other operators substantially misrepresented their firms’ policies. And clerks for two companies that say they’ll hold your car for 24 hours after your original reservation time—Dollar and Alamo Rent A Car—weren’t even aware of the policy.